Start the New Year off right by adding one of these new products to your winter project list! We’ve picked the 4 best-selling new kits and woodworking plans for you to choose from. Best of luck! We’ll kick off the list with an easy project. 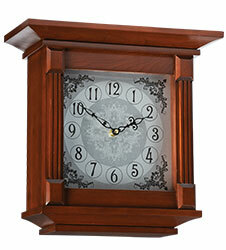 Transform this unfinished, fully assembled clock case into a beautiful mantel or desk piece. 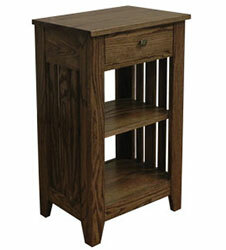 Simply finish with paint or stain, and then add your choice of fit-up with a 2-3/8″ mounting diameter. Your finished piece is sure to add the perfect touch of elegance to your home or office! Item number 34033 – view online now. This new Prairie Series woodworking plan will guide you to build an occasional table that features a top storage drawer and adjustable shelves. The finished version is the perfect companion to the other pieces in the Prairie Series. Item number 49898 – view online now. 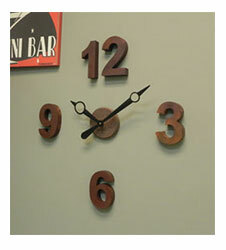 Create a unique and personalized wall with our new Wood Numeral Set. The kit arrives unfinished and ready for your choice of paint or stain. Add a decorative touch to the wood numerals by cutting beveled or rounded edges. The numerals include a keyhole hanger on the back for easy mounting. Purchase a high torque clock movement, wooden clock hub, and extra long clock hands to complete the look for a custom wall clock! Item number 34538 – view online now. This new kit was named after the silver-tone metal dial it uses. The clock face is adorned with flat, fluted columns and beveled, rectangular end caps. 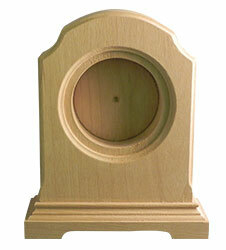 The kit includes all pre-cut, machined and factory sanded cherry wood parts required for assembly. Complete this one in one weekend! Item number 34763 – view online now. What’s your favorite new product of 2013? Comment with your answer below for a chance to win a $25 Klockit gift certificate!